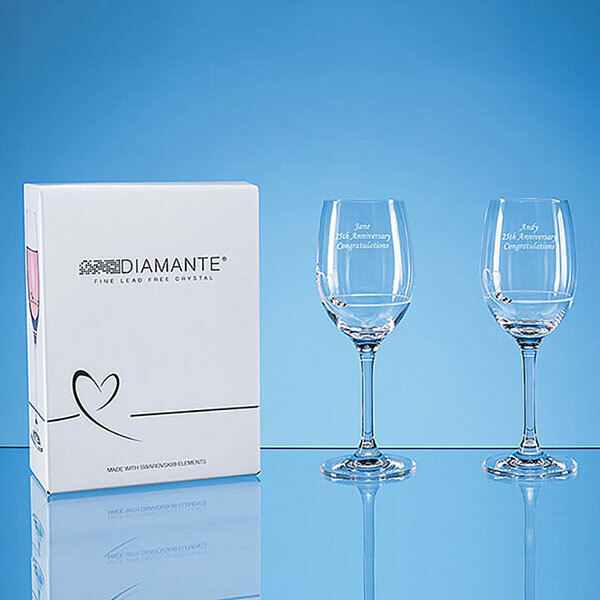 A pair of tall, elegant wine glasses with heart design decoration inset with diamante crystals. These long-stemmed glasses can be personalised via laser engraving on the body and are supplied complete with an attractive gift box. Perfect engraved as a wedding or anniversary gift for a happy couple.